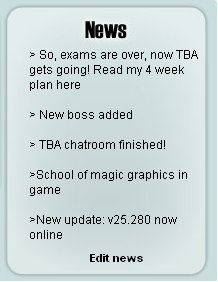 So exams are over, now TBA gets going! So, exams over! Lets get down to business my lovely’s. Here’s the schedule for updates. Alternate things may be added and some things will not be included, however I aim to reach a completed version by 31st july 2007.